In case you haven’t heard, Flint Michigan’s city water has been terribly contaminated with lead after the city changed its water source from Lake Huron to the Flint river. Adding insult to injury, the city only alerted the public to the high lead levels long after it was discovered and hundreds of children and adults had already been poisoned. And in case the city's government hasn't disgraced itself enough already, some residents say they've been threatened with their homes being foreclosed on or having their children taken away if they don't pay their water bills for poisoned water they still can't drink! It’s become quite a scandal with celebrities speaking out against the the city's negligence and petitions demanding the recall, investigation and criminal prosecution of Governor Rick Snyder. You can read about the steps leading up to Flint's water crisis here. Most importantly, it serves as a wake up call for all of us to take the health and safety of our families into our own hands. History has shown time and again what a bad idea it is to outsource that responsibility to our city, state, or federal governments. It has a special affinity for the nervous system causing serious brain damage, learning disabilities, stunted growth, and even aberrant or violent behavior, especially in children. Although lead paint and leaded gasoline have been removed from the market, older homes may still have both lead paint and lead in the pipes (which tends to leach into the water). Problems of lead in public drinking water extend way beyond Flint. According to the report cited in this article “more than 30 Million Americans are drinking water with lead levels in excess of the Maximum Contaminant Level set by the EPA.” That's 300 times the population of Flint. Doesn’t it seem odd that the same chemical responsible for the Poison Control Warning on the back of toothpaste tubes is indiscriminately dumped into city water supplies for millions of people to consume, without any control over how much individuals are drinking? According to Fluoride Alert, fluoride’s use in water supplies not only lacks supportive evidence, but studies demonstrate that beyond the risk of dental fluorosis (white spots on the teeth — see Kelly's post on this), it damages bone and increases the risk of fractures, may cause arthritis symptoms, is connected to a very aggressive form of bone cancer called osteosarcoma, accumulates in the pineal gland, is linked with early menses in girls, fertility problems, and lower IQ even at moderate levels. As of November 2015, 49 studies have linked water fluoridation with reduced IQ in children. Note: Chlorine (added to water as a disinfectant) and bromine (an additive in commercial baked goods and “enriched” flour) are also part of the halide family that competes with iodine in the body, potentially leading to iodine deficiency and causing thyroid dysfunction and other problems. The fluoride added to drinking water isn’t the naturally occurring form, calcium fluoride, but it is made up of byproducts from the chemical fertilizer industry: sodium fluorosilicate and fluorosilicic acid, both of which are hazardous waste. 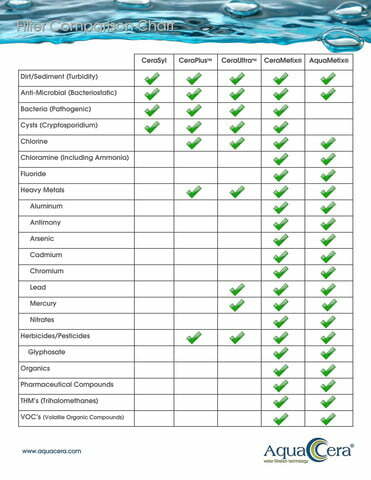 Turns out, it’s a lot less expensive (heck, it’s profitable) to market this industrial waste product as a healthy tooth decay preventive than to dispose of it properly. The FDA classifies fluoride as a drug when it is used to prevent disease (i.e. tooth decay), so essentially millions of Americans are being drugged through their water supply without their knowledge or consent. This is a gross violation of the guiding medical ethic of Informed Consent, based on the Nuremberg Code that was birthed out of the post WWII Nuremberg Doctor's Trial. I don't want this stuff in my water. By the way, if you are unfamiliar with Dr. Weston Price, you may be surprised to learn that in his 10 years of traveling the world during the early 20th Century, researching the dental and physical health of isolated, “primitive” people groups, he found hardly any tooth decay (or other health problems for that matter). These people obviously were not drinking fluoridated water and few had ever seen a toothbrush, let alone fluoridated toothpaste. 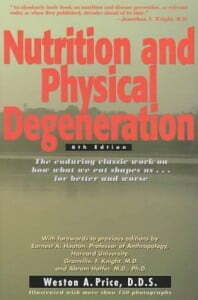 He documented his amazing research in Nutrition and Physical Degeneration. 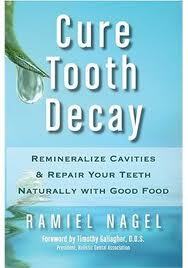 If tooth decay is an issue in your family I highly recommend reading Cure Tooth Decay, by Ramiel Nagel, to learn how to prevent and reverse tooth decay with nutrition. You can read more about dental health and see all Kelly's posts on dental health here. According to a study by the Natural Resources Defense Council, 50% of the population may have unsafe drinking water due to water treatment plant deficiencies. Even though an estimated million people become ill and 900 die each year from waterborne disease, only about 34% of Safe Drinking Water Act violations are ever reported. Insufficiently treated water can be very dangerous. 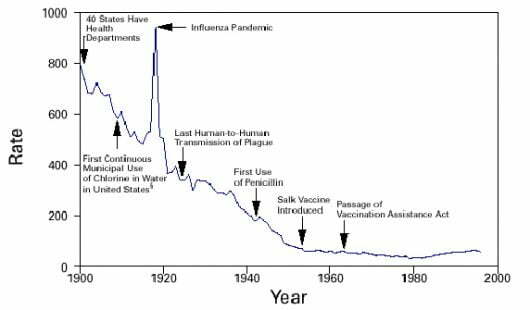 I remember as a child, our town’s water supply became contaminated with giardia and several people—even some we knew—became extremely ill. Our town was placed under a boil water notice and the water department “shocked” the water with loads of chlorine to effectively kill the pathogen. Chlorinated water is both a friend and an enemy. I'm thankful for what it protects me from in the water supply, but once it does its job, I want it out. An additional problem associated with chlorine is a class of carcinogenic disinfection byproducts–like trihalomethanes (THMs) such as chloroform–which form when chlorine chemically reacts with organic matter. This is also why it’s a bad idea to pee in a swimming pool! To cut costs some municipal utility companies use chloramine, which is a combination of chlorine and ammonia, instead of chlorine. Remember that time you were told to NEVER combine bleach and ammonia while cleaning because of the poisonous fumes it creates? Yeah, that. The idea is that while chlorine tends to evaporate out of the water the chlorine/ammonia combination, chloramine, remains in the water. It saves a lot of money but it is actually a 200 times LESS effective disinfecting agent than chlorine alone! And the disinfection byproducts produced when chloramine reacts with organic compounds may be even worse than those produced by chlorine, potentially causing DNA mutations, cancer, and developmental abnormalities. You can read more about chloramine in water treatment in this article by Erin Brokovich. Other disturbing water contaminants include a vast array of pharmaceuticals (thanks to the current extreme over-drugging of both people and livestock) and Volatile Organic Compounds (VOCs), which are the result of petroleum-based “fuel oils, gasoline, solvents, cleaners and degreasers, paints, inks, dyes, refrigerants and pesticides” migrating into drinking water supplies. You have probably already heard that bottled water not a good option. Besides the host of endocrine disrupting chemicals in the plastic that leach into the water (think of the hours that water sits in those plastic bottles, often in hot weather or a car which acts as a catalyst to that leaching), in most cases, it's no different than tap water. Instead, fill a stainless steel or glass water bottle with your own filtered water when you're on the go. You can learn what's in your city's water and its source from the annual drinking water quality report, also called the Consumer Confidence Report (CCR), provided by your water utility or through this site. Also, you can check the ranking of your city's water utility at the Environmental Working Group's National Drinking Water Database. My husband and I have temporarily moved from a rural area outside of Waco, whose water department adds only chlorine, to the big city of Dallas which REFUSES (after much public debate and outcry plus my own letter to City Council) to stop adding fluoride to their water, so a simple pitcher filter will no longer cut it. Needless to say I’ve been researching water filters, but because my husband has returned to school and we are again “poor college students”, I had to dig a little deeper to find a capable filter within our budget. Most filters don’t remove fluoride and the ones that do tend to be pretty expensive. Living in Dallas, fluoride was my big concern (as it actually is in most cities), so I eliminated from my search any filters that didn’t remove it. The ones that come up most often are Berkey filters, which are very popular but unfortunately for us even the travel filter was out of our price range. So I then looked at this pitcher filter, but the very mixed reviews plus the expense of replacement filters (after a 200 gallon lifespan, or much shorter according to some reviews) scratched it off my list. I also make kombucha (learn how to make kombucha here) and waiting for a filter pitcher to filter several gallons of water at a time is a bit tiresome. I Found the best affordable water filter! When I landed upon this countertop filter I was pleasantly surprised. It not only removes fluoride, but costs half as much as the least expensive Berkey. Since we are in a small apartment with a tiny kitchen now, I needed something that didn’t take much space (Berkeys, which are much larger, sit on the counter as gravity pulls water through the filters into a reservoir). Click here for the water filter I purchased. It's very streamlined and sits completely out of the way, on the edge of the back of my sink and mounts to the faucet. Plus I don’t have to purchase separate fluoride filters as you have to with a Berkey, since it is all included in one filter unit. 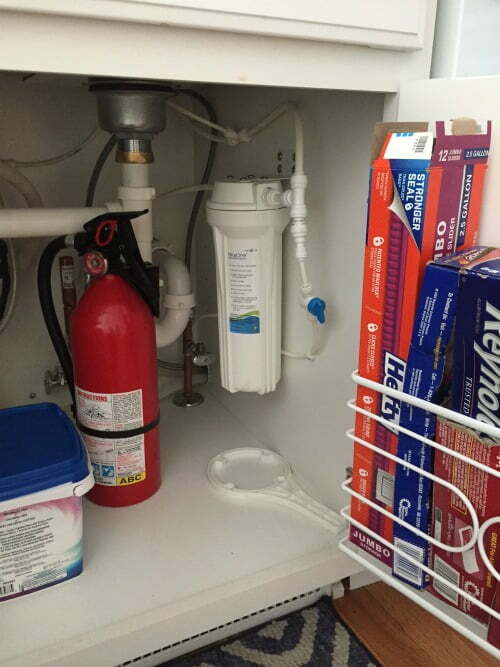 The filter lasts for at least 600 gallons (based on chloramine reduction–if chloramine is not in your water it will last much longer) and these replacement filters are very reasonable considering the long lifespan. Note: If I had a pull-out sprayer faucet I would have needed this under-the-sink model like Kelly got. There is also a twin-filter option (under-sink and countertop) for more sophisticated water filtering needs. The twin filter units include both the AquaCera CeraMetix filter I purchased as well as their AquaMetix filter. Update: I've since found a counter top gravity filter version here, which is by the same company and far more affordable than Berkey's gravity filters. Update ON EXTENDING FILTER LIFE: After using the filter for 8 months I now know what the above feature, “cleanable for prolonged life“, means. After a couple/few months you may notice reduced water flow. You can greatly extend the life of your filter by removing the filter cartridge and, under running cold water, scrubbing the outside of the cartridge with a clean scrubber sponge. You'll notice as you scrub the color will become more white as sediment is removed from the surface. After returning the freshly scrubbed cartridge to the housing you'll be amazed at the difference in water flow. Ours is still going strong and we use it a LOT! 3rd Update: It's been just over a year since we bought this filter and we JUST changed the original filter cartridge! The manufacturer recommends replacing the filter yearly, which seems like it couldn't possibly be frequently enough, but we began tasting a very faint hint of chlorine at right about the 1-year mark. So it's true, that with periodic scrubbing to remove sediment on the outside of the filter cartridge, it really does last a full year. We couldn't be more pleased with this filter—it is an absolute work horse! My husband installed our countertop water filter in about 5 minutes and says it was very simple and that the instructions were easy to understand. It requires several minutes of flushing and then resting it for 24 hours before using to condition the filter, which was no problem. There is a handy diverter valve at the faucet that lets you choose to use the filter only for cold drinking (or cooking) water, but regular tap water for everything else. 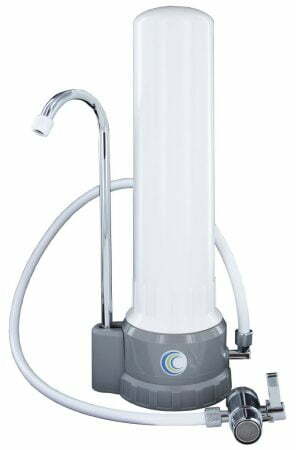 This filter removes pathogenic bacteria, sediment, fluoride, chlorine and its byproducts, chloramine, VOCs, pharmaceuticals (how maddening and scary is it that DRUGS are now in our water? ), heavy metals like lead (hello, Flint), and agricultural chemicals like glyphosate (Roundup). Plus the water tastes super crisp and fresh—better than it did with the Pur filter pitcher we were using before, which was certainly way better than nothing! Click here for the water filter that I purchased. For us, it’s a perfect, affordable, much better than middle-of-the-road filter for our needs. Someday we’d love to get a whole-house filter system like this one (to make sure we're not showing in contaminated water either), but for now at least we have the most concerning pollutants out of our drinking water. 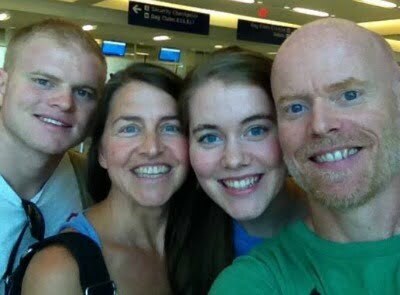 About Jill: My husband and I live in Waco, TX, along with our two awesome young adult kids (AND now in Dallas during the week). I have a small business, selling handmade personal and home care products at our farmer’s market and local retail sites. I am also Kelly’s blog assistant. 🙂 I am passionate about real food nutrition, natural health, local food, and I love to cook. Fortunately we have access to lots of local food via Waco's fantastic year-round farmer’s market, nearby farms, and even a grocery store that sources much of its food locally. My newer post: Why we ditched RO water and what we got instead. Have you seen Jill's post, DIY Laundry Soap, plus Alternative Bleach, Fabric Softener, Deodorizers, and Stain Removers — Replace ALL Your Laundry Products! Or see all of Jill's posts here. I want to get the AquaCera NiIusTwo under sink system because it removes more fluoride. Alas it is out of stock so I have contacted the manufacturer for dates as well as Radiant Life. Anyone have this unit and want to share about the water taste? But what if the super filtering water filter has chemicals that make you sicker than the tap water?? Yeah…so that happened. I’ll gladly take the faint pool odor over molds, bacteria and whatever else hides in filters. Does this filter also cover everything needed to filter well water? My guess is that would depend on what’s in your well water. It’s a very capable filter, but it might be a good idea to have your water tested and then compare the results against the specs on the filter. I haven’t heard anything about their whole house models specifically, but I am sure they are excellent. I do know that Radiant Life only sells top quality filters. Here is a filter that pretty much does it all: https://kellythekitchenkop.com/whole-house-filter. Notice it removes fluoride, but they also have a different model that doesn’t remove fluoride and is less expensive: https://www.radiantlifecatalog.com/product/237/water-filtration-systems?a=kellythekitchenkop I wish I could tell you more about Aqua Cera’s whole house filters–they do look to be similar in cost to Radiant Life’s filters. We are moving and would like water filtration for the whole house. Have you good reports about this brand in the whole house model? I work at a hospital in Flint and they still provide us with bottled water to drink and the patients bathe with disposable bath wipes. Boron in Borax is great for neutralizing fluoride in drinking water. 1/32 tsp. up to 1/4 tsp. per 1 liter of water. Mercury is a highly neurotoxic poison; except when it is used in teeth or vaccinations. My kids’ pediatrician told me to let them swallow toothpaste since we have well water. Ummm…what about the poison control warning on the tube you are supposed to call in case of ingestion. I think most dentists are just as brainwashed as most doctors. That is so crazy, Kateri Scott! I told my daughter’s dentist that Harvard published a study saying fluoride is a neurotoxin. She told me I need to be careful about my sources… say what?! Bottom line: Doctors are indoctrinated. Megan Christian Cowan Watch him go through the roof when you tell them silver amalgam, which is half mercury, is poison. The ped is a temp until our usual one comes back from maternity leave. Been using mine for a week now! Love it. Can’t taste anything in my water anymore. Awesome, Teddy Ray Plumb! We are loving ours too! Been telling people for years. @Mindy–Yes, the under the sink model linked uses the same filter as the countertop model I purchased–the difference is the way it hooks up to your plumbing. I know this may be a silly question, but what are your thoughts on the Brita pitcher filtration system? Take a look at the linked post above, Yolanda C. Laguitan. If the only thing you need to remove in your water is chlorine, it might be ok (though my understand is that Pur filters are more effective at that), BUT according to a report (linked in the article), most pitcher filters actually increase aluminum levels in water somehow. Big part of the issue is government without accountability. Politicians can make decisions who can devastate lives and get a slap on the wrist, step down but keep their pension, etc. If the filter recommended in this article is as good as it says it is, it would certainly be an improvement on the Berkey cost-wise. But when we bought our Berkey it was probably the best filter on the market even though the replacement filters are spendy and you have to buy extra filters for fluoride and arnsenic. Hi Mindy Tharp Worley — good question. This filter only takes the stuff out that is listed there (the bad stuff, but not minerals), unlike RO water, where *everything* is taken out and only H2O is left. Why doesn’t it say that though? Like aside from this post, how would one ever know that? Mindy Tharp Worley I don’t know, maybe they don’t think most people have that on their radar like we do! To clarify, the company said it DOES leave the minerals in if using their ceramic models. Thanks for clarifying, Kelly! There isn’t a coupon code for your readers, is there?? Does the under cabinet model she mentions work the same way (remove contaminates but leaves minerals)? I’m pretty sure yes, but I’ll find out and get back with you. Following! We recently moved into a new home with GR city water. So we need a sink filter asap! Too bad most of the poor people in Flint can’t even begin to afford water purification systems. Anybody with experience on whole house filtration systems? I see Dr Amy Meyers suggests the aquasana but I was hoping to find something a little less pricey. We have one Christy Byrne — what were you wondering? What brand is it? Are you satisfied? I’m guessing I would need to hire a plumber to install it? 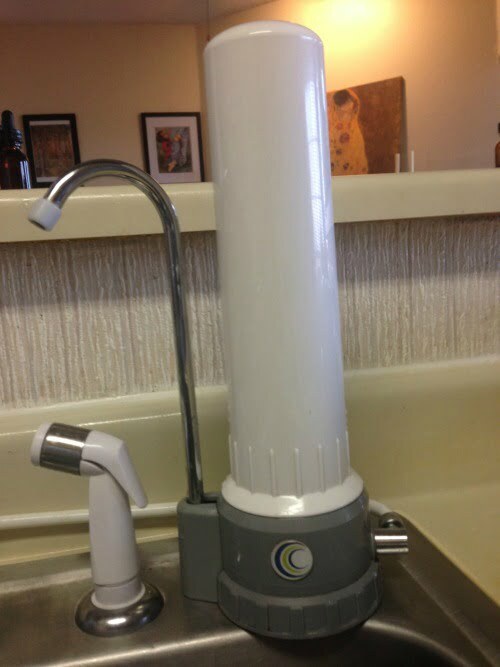 We purchased ours from a local place, but this is where I’d get one if I had to do it again: https://kellythekitchenkop.com/water-purification (scroll down at that link to find their whole house filters). And yes, a plumber would prob have to install, unless you or your hubs are handy. Christy Byrne — I can’t remember for sure, Kinetico maybe? I thought I read it’s just as bad if not worse to constantly be bathing in contaminated water. We have a travel berkey and love it. Best source to send water for testing? I have wondered the same because it seems most companies who sell filters have an obvious agenda. I think public health departments will test your water for you. If you think well water is safe think twice. If you do have well water ha e it tested at least a few times a year. We love our travel Berkey! It made my eczema finally go away completely, after dietary changes. Turns out, our previous water filter was still leaving in a lot of toxins. And add vaccinations, GMOs, etc! We’ve been taking semis full of water there weekly and working within the community. It’s a devastating and humbling experience. Clean water shouldn’t be a privilege, but sadly it is right now. As of a week ago, day care centers were still using tap water to make baby bottles because they had no other water and the children needed formula. We are stepping up our efforts and trying to fill another 53-foot semi this coming Saturday. The water filters are lasting maybe a week- and that is only for hand washing. Anything else done with the water and the levels still aren’t safe. It’s tragic. Rachel Wachs — thank you for all you’re doing to help!!!! I can’t believe how screwed up that city is that babies or anyone would still be allowed to drink the water!!!!!! Oh my gosh, just when you think it can’t get any worse! Ironically, my brother bought Berkeys for all of us in the family who have well water. Just in case. What a generous gift, Lindsey Knoth-Rodenburg! How blessed you are to have such a brother! Glad we have well water. Our well tested twice as high for nitrate. You never know when you drill a well. We were lucky, except for the fact that we had to go over 400 feet, which was expensive. Our water tested perfect and tastes great. I don’t know if the water was fluoridated where I grew up or not. I used to swallow my toothpaste (I know disgusting, but it was while I was kid). I have always wondered if this is why my thyroid was messed up from a young age. In high school I was missing the outer 1/3 of my eyebrow though we did not realize that thyroid was the cause. Is a theory and we will never know for sure. Thank you for the link for the filter. We are on a well but we have really hard water. It is nice to know that it filters so much out. Natural, clean spring water is the absolute best, Nevra! Distilling and reverse osmosis water purification does change the water by removing minerals, but even spring water has been filtered by the ground. Wouldn’t it be wonderful if THAT was the water provided by utility companies? There are websites to help locate natural springs in the area you live, but it’s probably a good idea to find out more about the purity before hiking in to those areas and collecting water. To me filtering water is a form of processing not all that dissimilar to food processing. I prefer the whole, natural form. That’s why I don’t use filters and instead use spring water, which comes in glass bottles, delivered to my home. It’s not cheap, but it’s absolutely worth it. Granted, it’s only for drinking/tea/broths/cooking, etc. I still shower/bathe in tap water which is not ideal. I might consider a whole house filter at some point.